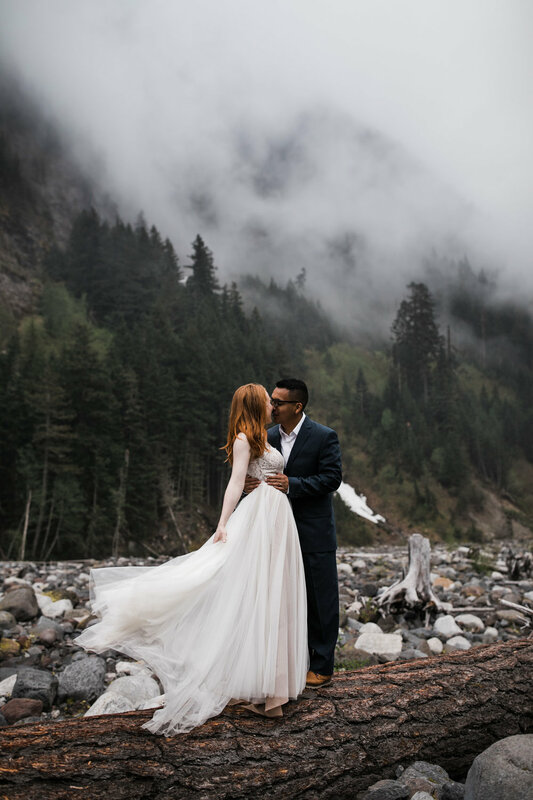 Alyssa and Horacio chose to do an epic road trip out west for their honeymoon and brought their wedding clothes along for some epic adventure portraits in Mount Rainier National Park! After a few days enjoying and hiking in the park, they met up with us up on the mountain. 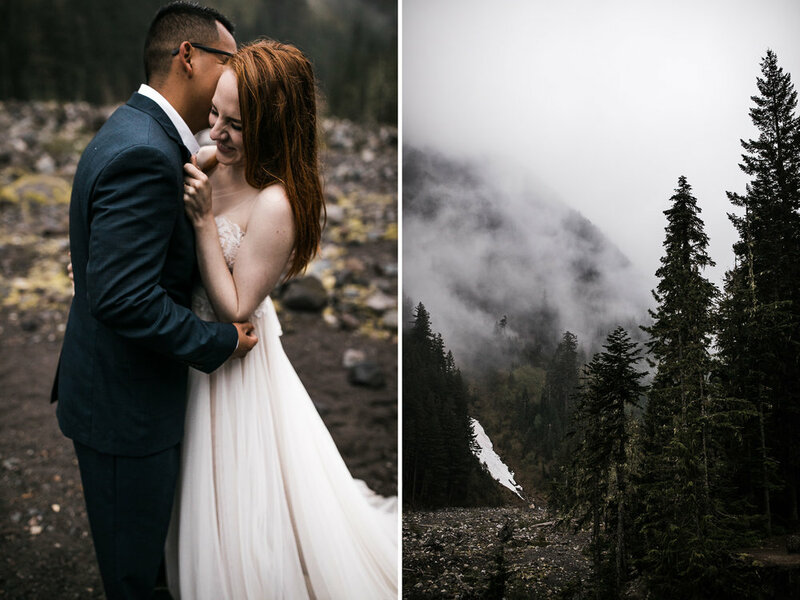 The conditions ended up being super unique - the whole mountain was covered in fog! 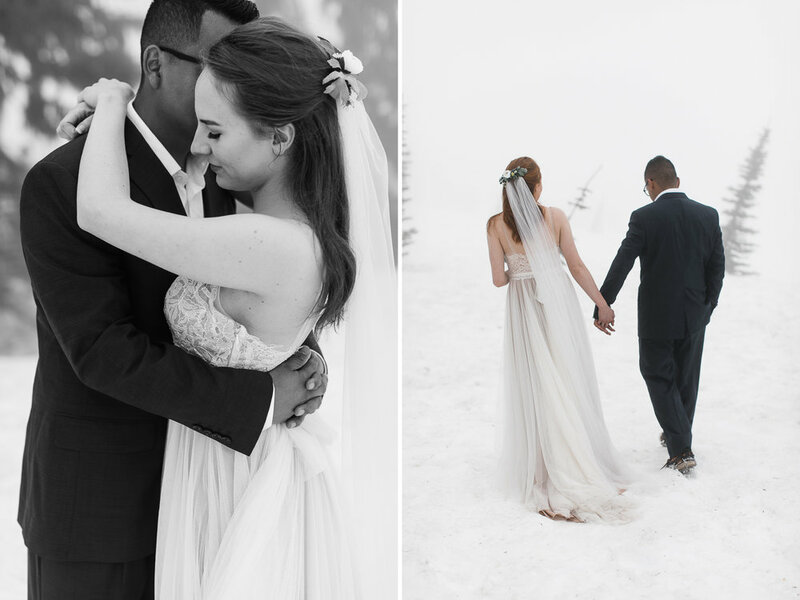 Some people might consider this “bad weather” but honestly it was so cool, and so classic Pacific North West! 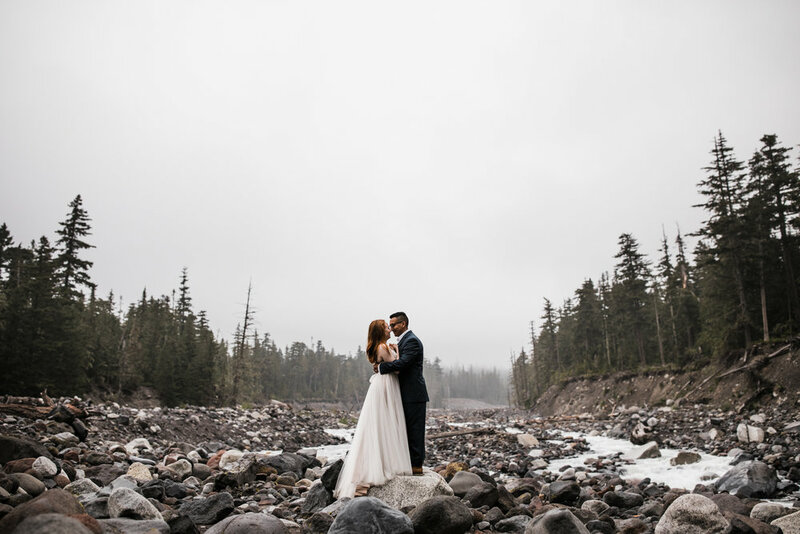 We hiked up the snowfield a little bit for some moody foggy portraits in the trees and with such low visibility it felt like we were in a different world! 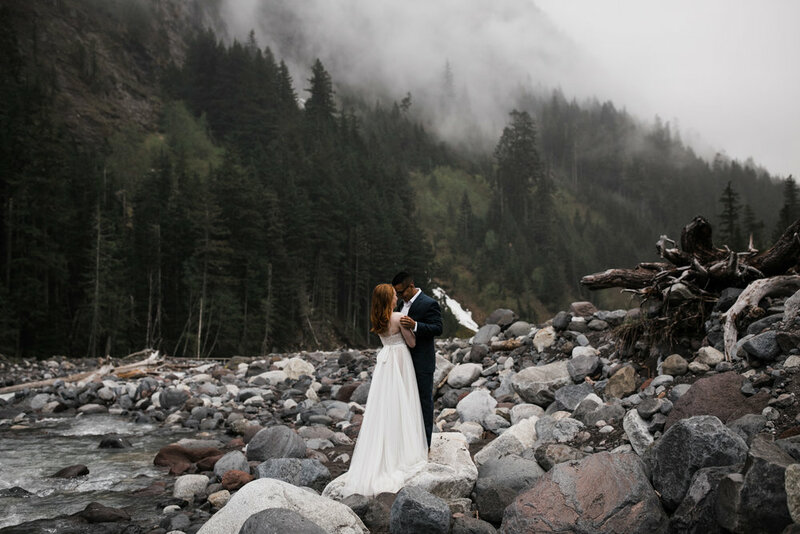 After that, we drove down the mountain below the fog layer and hiked out into a riverbed with more moody portraits as the fog swirled in the trees above us. 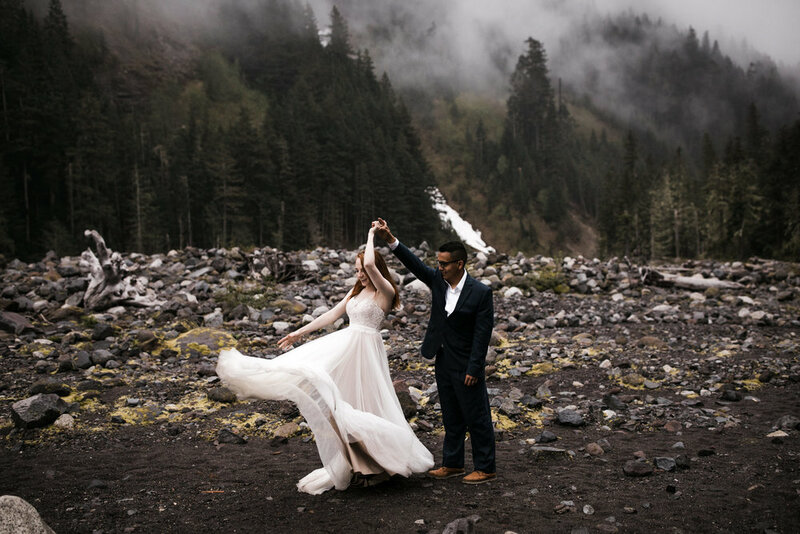 They ran around the boulders, climbed on some giant fallen trees, and we ended the day with a few portraits with their rad adventure vehicle that had driven them across the country. We sent them off with some location suggestions for the second half of their road trip and wished we had more time to spend together, we had so much fun with these two! 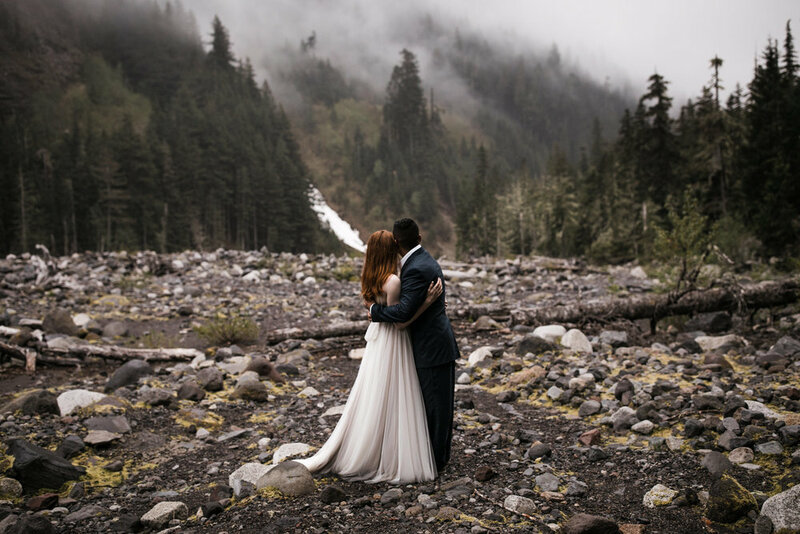 If you like the idea of an adventurous elopement, but still want to have a wedding back home with your family and friends, you could always consider working a portrait session into your honeymoon! 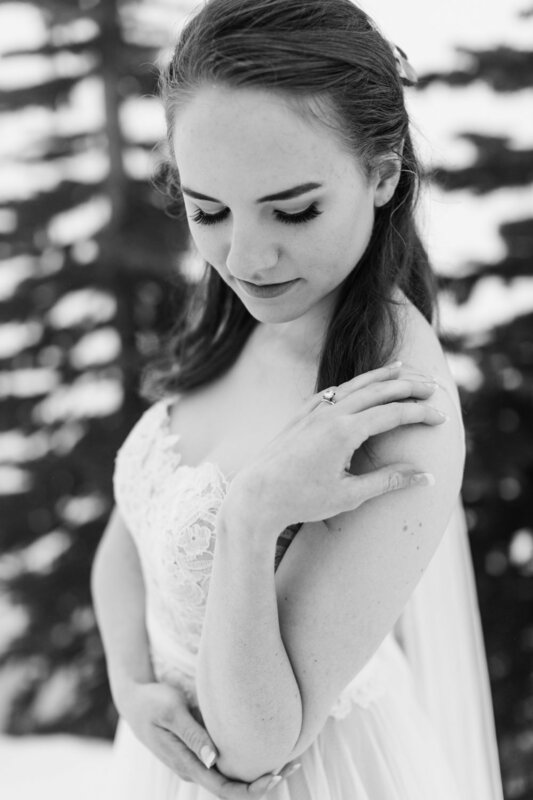 It’s such a cool way to get epic wedding portraits when all the feelings are still fresh, without having to do a destination wedding if that isn’t your thing.